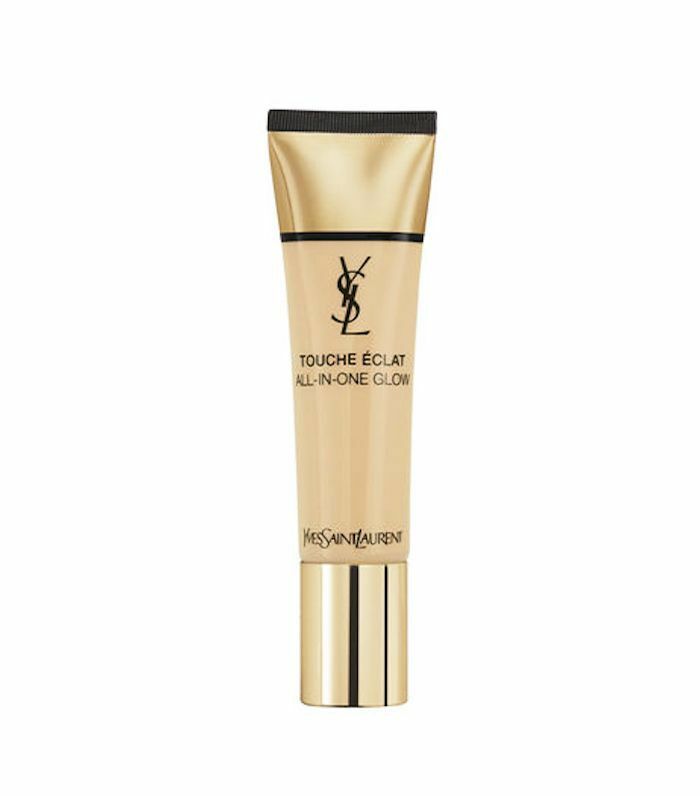 Ask any makeup artist or beauty blogger, and they're sure to tell you that Yves Saint Laurent's Touche Éclat Radiance Perfecting Pen ($42) is a bona fide classic. Thanks to its micro-fine shimmer and light-reflecting formula, it's perfect for hiding shadows and dark under-eye circles. For $42 it's definitely a splurge, but people absolutely swear by its awakening powers. In fact, even Meghan Markle has waxed poetic about this product in the past, saying it makes her look "bright-eyed and bushy-tailed." The brand also has a Touche Éclat Foundation ($58), which shares the radiance pen's popularity—take a quick scroll through Instagram to see it adorning the kits and vanities of many a famous beauty influencer. It's so well-loved because it harnesses that same radiance-lending power, while also smoothing and perfecting the complexion. According to Allure, the brand is back at it again, releasing yet another Touche Éclat product at a super-buzzy and star-studded celebration in Paris. (Where else would it be held? This is YSL we're talking about). Here's our first look at the new tinted moisturizer, which comes in YSL's trademark gold-rimmed packaging. Leave it to this famous Parisian brand to make a tinted moisturizer look super luxurious. According to the brand, it evens the complexion, smoothes fine lines, and eliminates dullness. That sounds pretty similar to the Touche Éclat Foundation, right? Where this product differs is in its texture and hydrating capabilities. Since it's a tinted moisturizer (moisturizer being the key word here), it's more hydrating than a normal foundation thanks to hyaluronic acid, water, and vitamin E. In fact, this tinted moisturizer is formulated with over 70% water, so it feels very lightweight on the skin. It's also formulated to be easier to spread and blend. Simply blend it into your skin using a beauty sponge or your fingers. It has SPF 23 included, so you can skip sunscreen if you feel so inclined. The result will be glowy and radiant skin with light to medium coverage. The only downside to this tinted moisturizer is that it seems to come in a rather limited shade range. There are 12 shades in total, but only a small percentage of those are formulated for darker skin tones, which is a shame. We've said it before, and we'll say it again—the beauty industry needs more makeup diversity.